PUNE: Cyber crime is on the rise in Pune, and in most of the cases the victims have fallen prey to the ‘man in the middle’. The worrying trend in the city of Pune is a threat to not only to the financial security but also privacy of the victim. A few cases of cyber crime involving the practice of man-in-the-middle were detected in Kothrud area of the Pune city, added Sudhir Hiremath. However, according to Senior Police Inspector Radhika Phadke as the third person is generally in a different country, a case cannot be built due to lack of jurisdiction. In what comes as an alarming fact, the number of cybercrimes involving man-in-the-middle attack in Mumbai cases rose by 37 per cent as the number of cases reached 26 in 2016 from 19 cases in 2015, according to studies. While in 2016, victims lost as much as Rs. 14.54 crore, the amount stood at Rs. 4.33 crore in 2015, according to local cyber crime police unit in Mumbai. Cyber crimes involving man-in-the-middle attack involves hacking an official email account of a company and finding out about its upcoming transactions with other companies. 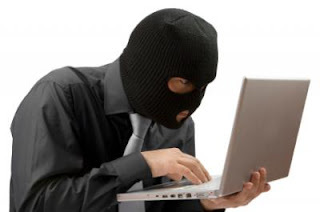 The fraudster under a typical man-in-the-middle attack acts as an intermediary and intercepts and alters the user's computer details and later uses the information for fraudulent purpose.